I like the nose a lot!!!!! wow!!! great looking... better looking than the rebellion? Not sure... Now they seem to have some sponsors also... This is looking good... Maybe they can get two cars for next year... Happy for the drivers and team!!!! I don't really understand the problem with a Lotus badge here . Lotus is the title sponsor of the team, that's all. Just as you can call the F1 team at Enstone Benetton, Renault, Lotus or Genii Racing or even Venezuela Racing if you like. The good thing is, Kolles do pull all these together. Kudos for everyone at Kodewa!The reason I'm so excited is that this is, ultimately not a bubble and I'm impressed by Kolles ' love for sportscar. As I was so excited about the WTCC Onyx project, but it turned out to be a fantasy, which hurted me. Without his customer R10, Oliver Jarvis, Marcel Fassler and Andre Lotterer might never get the seat of a LMP1. well this car is not a lotus for real (adess monocoque + AER engine), so what's the problem if prodrive wants to rebadge as AMR in future? Maybe next year the vantage will run only in gt-am and prodrive will use this car in lmp1-L against rebellion entering as AMR official team. It would be a great scenario: more lmp1 in field and another historic manufacturer involved in lmp1. Btw: where did the LMP2 cars go??? and lesson is? maybe they are not good enough to make engines? well no surprise at all, their road and race V8 and V12 engines are '90 ford projected units, while in future will be used AMG units. Nice looking car. I will call it Adess LMP1. please enlighten me!.......do you mean Prodrive might buy the project and re-brand as an Aston Martin project?.......or Prodrive perhaps just did a bit of engineering consulting work for Kolles?.......looks like Kolles has dropped this project like a hot-potato as they now have an F1 project to deal with.......I can imagine AER are gutted, but at least it gets them a step closer to being back in LMP1.......perhaps another watch maker could buy the project!......personally I think they would do better to remove the Lotus branding, everyone knows it has absolutley nothing to do with the car company or its history, other than just some money changing hands for brand exposure. There was a Prodrive logo visible on the teaser image, but it appears to have vanished. Adess is not involved anymore. Great looking car from the front. Still want to see it running, especially with rumours of Kolles moving along to the F1 program. Really hope they make it for Rebellion's sake. Finally, here it is. I had already abandoned the thought of ever seeing this car, but here it is, and it's stunning! 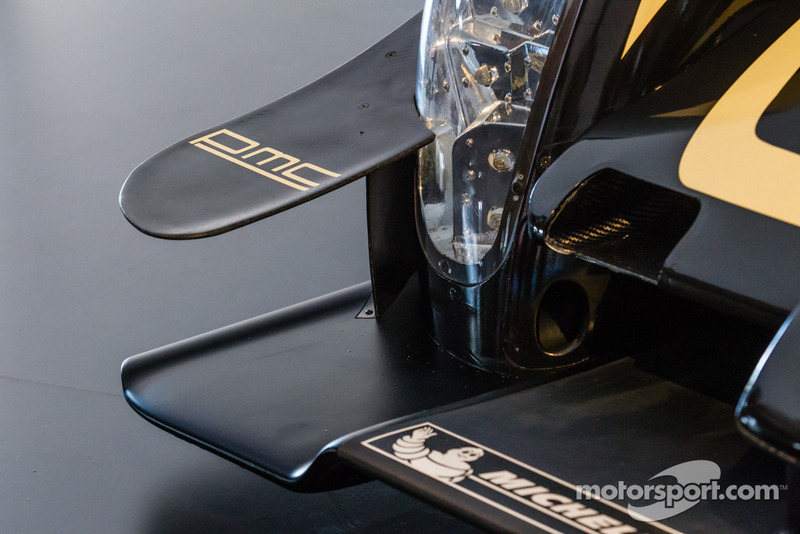 I believe the what people may have thought was the beginning of a Prodrive logo was actually PMC which is now seen on the dive plane. The type sets are very similar. Well, how does it look like? Does anyone know the size of this new AER V6 engine?